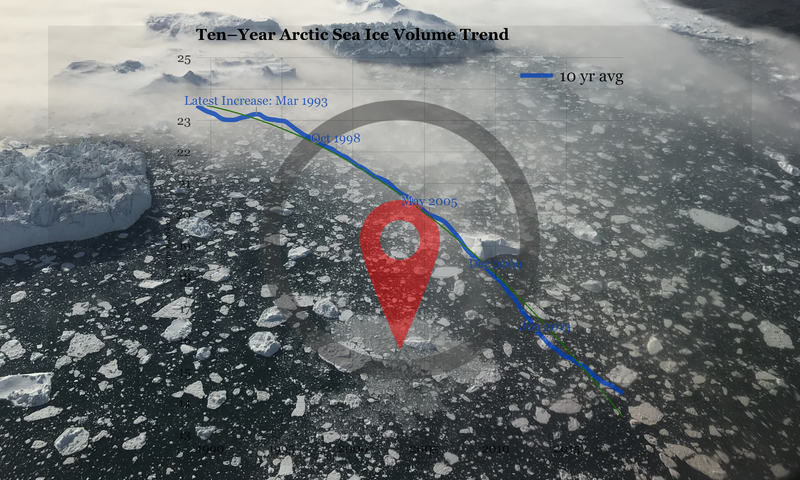 In early March we went beyond the 10 mark for the first time since June 2016, by averaging higher than 10 million km² sea ice extent. Now the worm has turned, and explicitly suggested in a dotted way below, is the possibility of a new record low for the full calendar year. Of course, as soon as such a thing is suggested, the Arctic will twist and turn like the giant unpredictable Midgardsorm it is, or at least the pendulum will likely go back and forth a few times, before we truly know where we’re heading.